The Parthenon grants the power of Colonial Conquest. With Colonial Conquest, territory claiming requirements are reduced to a barracks and a workshop (or factory if in epoch 9+). 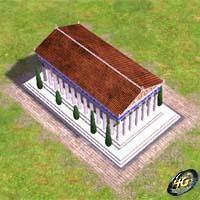 It is available to Western civilizations in Epochs 1-15. 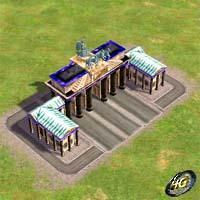 When you build the Brandenburg gate, you will have the Spoils of War power. With this power, you will earn one tech point for every five enemy units killed. It is available to Western civilizations in Epochs 6-15. 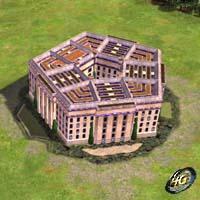 Build the Pentagon to access the Homeland Defense power. 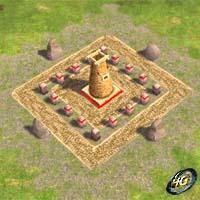 With Homeland Defense, all of your Houses gain the ability to fire on enemy targets. It is available to Western civilizations in Epochs 11-15. 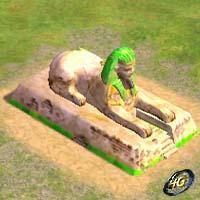 The Sphinx�s power is the Riddle of the Sphinx. With this power, all of your buildings are completely immune to capture. It is available in Epochs 1-15. 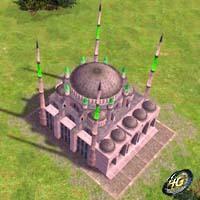 The power of this mosque is Sultans Reward, and it can have a dramatic effect, granting the player 20% of the Gold build cost for every enemy unit or building that the player destroys. It is available in Epoch 6-15. The desalinization plant provides Life to the Desert. 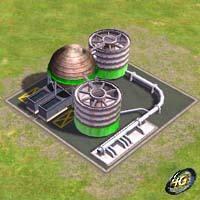 Citizens gather food 50 % faster, and your population capacity is increased by 35. It is available in Epochs 11-15. This wonder grants you the Farseeing power. You have the maximum line of sight on all of your buildings, and you also have line of sight on all other players� City Centers. It is available in Epochs 1-15. 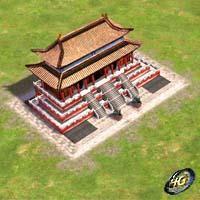 The luxurious Forbidden Palace brings with it the power Splendor. 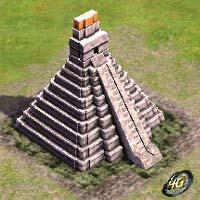 With Splendor, none of your resources are lost should any of your buildings be captured. 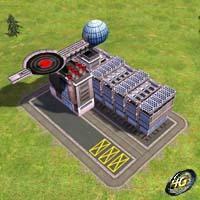 When you capture other players� buildings, you receive an extra 35% of resources. This wonder is available in Epochs 6-15." Build the Robotics Factory to gain the power of Automation. While this power is in effect, a Light or Heavy Mounted land unit randomly appears at the Robotics Factory once every minute. It is available in Epochs 11-15. The power associated with this wonder is Art of War. With Art of War, all enemy players� housing provides the same Morale/Fervor bonus to your invading troops as to their defending troops. This wonder is available in Epochs 1-15. 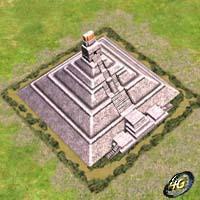 The Great Pyramid of Tenochtitlan grants the power of Proselytize. Whenever a unit is successfully converted, there is a 50% chance that any nearby units will also be instantaneously converted. It is available in Epochs 6-15. 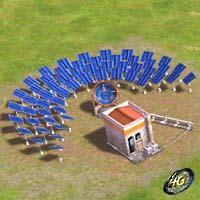 The Solar Power Station uses the energy the sun provides, creating the power of Energy Efficiency. When you build this wonder, building construction and repair costs are reduced by 50%. It is available in Epochs 11-15.